Mr. Roskiewicz has served as a regional board member for National Senior Campuses since 2007. 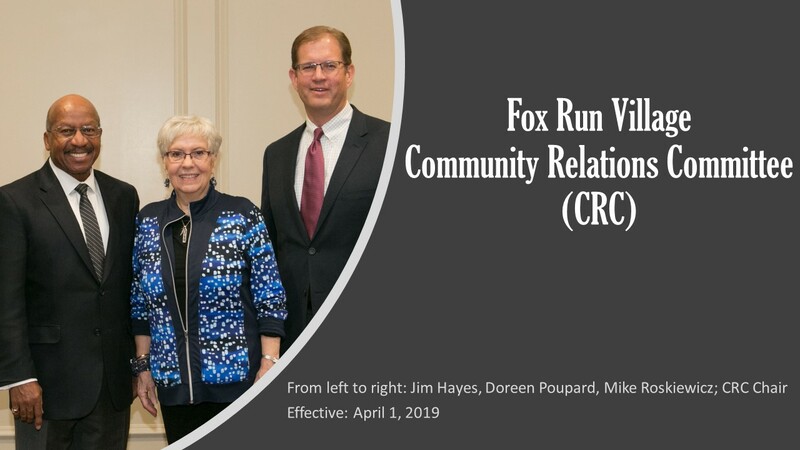 He currently serves a member of NSC’s Audit, Budget and Finance, Communications and Operations & Risk Management Committees and as a chair of the Community Relations Committee for the Fox Run community in Novi, Michigan. Mr. Roskiewicz is a lawyer by training with extensive experience in corporate finance and mergers and acquisitions. He is a founding member of WestCongress Insurance Services, where he serves as executive vice president and general counsel with responsibility for human resources, claims, regulatory compliance, M&A, corporate governance, litigation management, and contract matters. Mr. Roskiewicz was previously the general counsel of First Mercury Financial Corporation (NYSE: FMR) and a partner in the Michigan law firm of Dickinson Wright. Mr. Roskiewicz received his B.A. in psychology from the University of Michigan and his J.D. from Washington University School of Law in St. Louis.